Normalized difference vegetation index satellite images of the state before and during the drought. 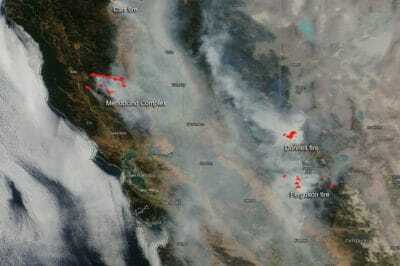 | Image courtesy Chunyu Dong/UCLA. 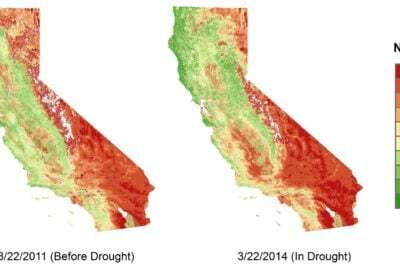 A team of researchers from UCLA and Columbia University have found that the most recent 2012–16 drought had a greater impact on Southern California than it did in parts of the state to the north. 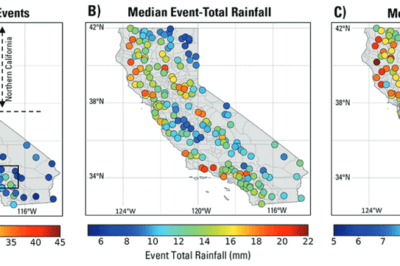 A study that looked at two-decades worth of rainfall data has found that the majority of California’s rain arrives due to atmospheric rivers. hourly precipitation measurements has found that the majority of California’s rain arrives due to atmospheric rivers. In California, the officially hottest month on the record- July – was topped with the most severe wildfire season that Californians have ever witnessed. 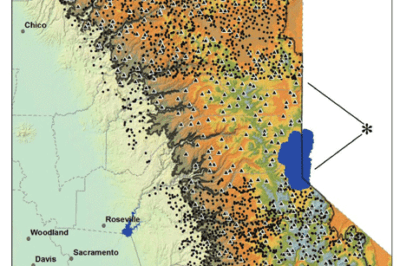 Map showing the study area in the northern Sierra Nevada ecoregion, California, USA, above 914 m elevation (3000 feet). Source: Wright et al., 2016. Climate change is causing certain key species in the Sierra Nevada mountains to change where they are growing according to a study published by the journal California Fish and Game. 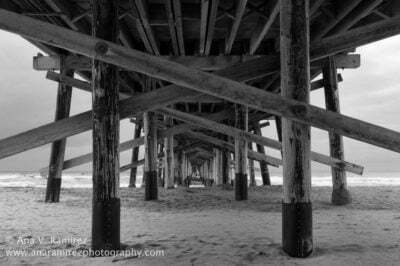 According to Ramirez, the lack of center posts underneath Newport Pier makes it a "photographer's dream." Ana Ramirez, a San Diego-based photographer, talks with Kristina Jacob about her photography project, Into The Ocean – Photos of California Piers. Mapping out stories about pollutants in California. 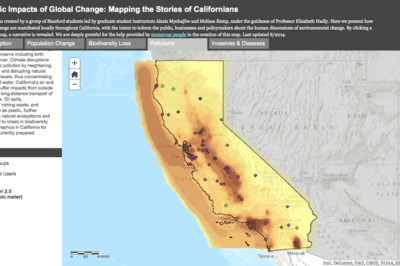 A group of Stanford students taking a biology class entitled Geographic Impacts of Climate Change: Mapping the Stories have mapped out news and journal articles about global change in California. 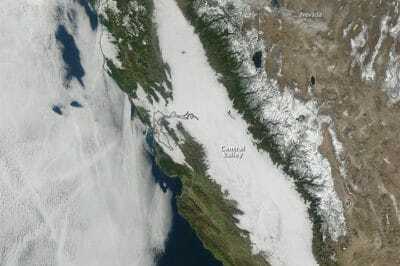 Tule fog coverage in California's Central Valley. This image was captured on January 17, 2011, by the Moderate Resolution Imaging Spectroradiometer (MODIS) on NASA’s Terra satellite.